In the dictionary, a theocracy is defined as a government ruled by, or subject to, religious authority. Does that definition now fit the United States? Veteran political analyst Kevin Phillips weighs in on how a radicalized religious view, coupled with a reckless dependence on foreign oil and irresponsible borrowing, are moving America closer to a theocracy. 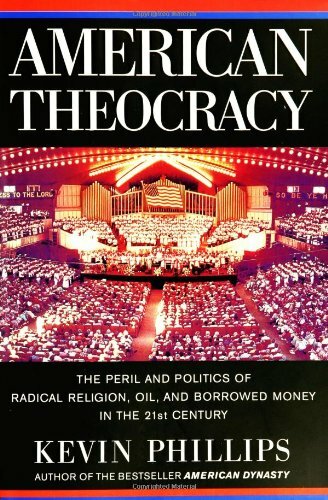 Phillips calls his book American Theocracy.